The Verizon version of the Samsung Galaxy S9 comes with a Driving Mode feature that will automatically refuse to accept voice calls via SMS that can be tailored for your present activity. This feature will instantly direct a “I’m driving right now – I’ll call you back later” message to whoever is trying to call without you having to type anything yourself. This is very helpful as it prevents you from driving and texting at the same time, it saves your life, basically. The driving mode feature is very vital for phone owners that do not like to get distracted when they are on the road. To know what this is all about, follow the steps listed below on how to activate or deactivate Driving Mode on your Samsung Galaxy S9. Open the dedicated Verizon Message+ app. Click the menu button that is visible at the top left of the screen. Choose the Driving Mode option. Click Add Device to pair a Bluetooth device to your Galaxy S9’s Driving Mode. By so doing, the feature remains active. Tick the Driving Mode Auto-Reply box as soon as you pair the smartphone with a Bluetooth device. It is possible to deactivate this feature by simply unticking the exact boxes you just ticked. Now that you know how you can turn on and turn off this mode, you will also be able to change the default message you want whoever is trying to reach you to receive. If “I’m driving right now – I’ll call you back later” sounds boring to you, alter it the way you like. All this can be done from the “Driving Auto-Reply Message” option. The Samsung Galaxy S9 is Samsung’s new born, and there are several things to appreciate about the phone. If you recently bought this device, here are ways to personalize it. , Lock screen and security and then Intelligent Scan. Adhere to the prompt to set up the biometric authentication service. The Galaxy S9 comes with a WQHD+ Super AMOLED panel that can be regarded as one of the best displays available to any mobile phone worldwide. But, the default resolution as a new device is FHD+ (2220×1080) and not QHD+ (2960×1440). The company brought about this change years back, to boost their product’s battery life and ensure it performs better. The feature stayed the same on the Galaxy S8 device, and is yet to go away on the Galaxy S9. Even if the difference between 1080p and 1440p is not much, and it is not that obvious on a 6.2-inch panel, you might want to switch the resolution to WQHD+ so you can enjoy the amazing screen better. To achieve that, go to Settings, then Display, Screen resolution and then toggle the slider to WQHD+. The Samsung Galaxy S9 has a blue light filter that decreases the strain on your eyes as you view your screen when it is dark. Activating the filter gets rid of blue hues and ensure your screen takes up warmer colors, which results in a yellowish tint. Adjustments of the intensity of the filter is possible, you can even create a schedule so it activates itself automatically at a specific time you choose. For configuration of the blue light filter, go to Settings, Display, Blue light filter. The custom schedule can be used here or it can be activated from sunset to sunrise, just as long as you turn on location access. 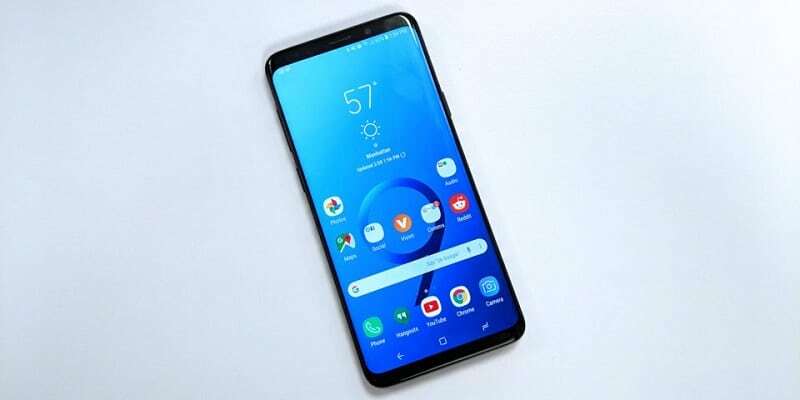 It was introduced by Samsung in 2018, with the virtual assistant designed to display vital information like your calendar entries. This feature is broader than you think. Bixby Vision allow you to translate text from images in real-time; Bixby Home functions as a centralized hub for social apps like Twitter, Facebook e.t.c while Bixby Voice aids you to launch apps with your voice. To do and undo with Bixby, hit the hardware button under the volume rocker, and set it up. Alternatively, you can swipe to the leftmost home screen and Bixby Home will magically appear for you to set it up. If you think Bixby is a waste of time because Google Assistant does its job already then you can just turn it off totally. But note, since Bixby was given a specific hardware button, deactivating it will also rule out the button and it cannot be used for anything else. , then Lock screen and security, then Always On Display to activate the feature and choose the information to display on the lock screen. As soon as Always On Display is activated, you will be able to choose the clock styles, widgets, and even add contact information on the lock screen by heading to Settings, Lock screen and security, then Clock and Face Widgets.